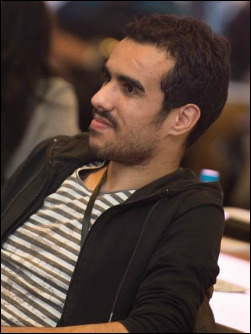 Zakaria Nidkazza is from Sale, and recently finished his Masters degree in IT Engineering at Hassan II University in Casablanca. He holds a BA degree in Software Engineering from Mohammed V in Rabat. During his studies, he was involved in numerous volunteering projects. His first experience was with Enactus in Rabat at the Faculty of Sciences. For three years, he worked with them on several projects that aimed to solve social problems using an entrepreneurial approach. 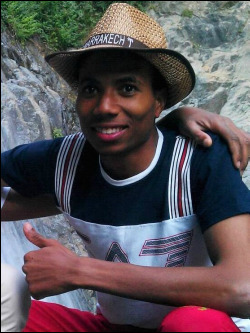 He is also a member of the TINISSAN association, the local association of his home village in Ouarzazate, working on several projects to improve the living condition of the community. 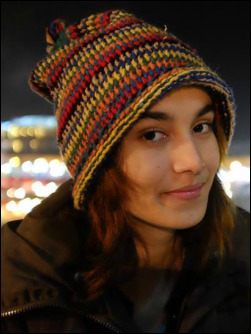 ​Aicha Mimouni is from Alnif in the Tinghir Region and her native language is Tamazight. She got her Baccalaureate degree in Alnif in 2012. 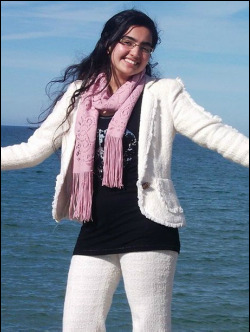 After, she moved to Ourazazate where she continued her university studies and obtained a BA degree this year in English Studies: Communication and Pedagogy from the Faculty Poly-Disciplinary of Ouarzazate. Aisha likes investing her time doing social and volunteer work. She had participated in many projects with Peace Corps volunteers. 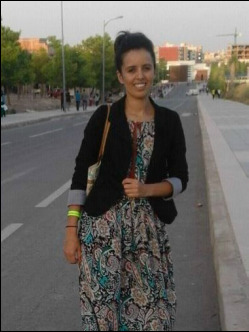 She was also a tutor of Tamazight for some Peace Volunteers in Ouarzazate. 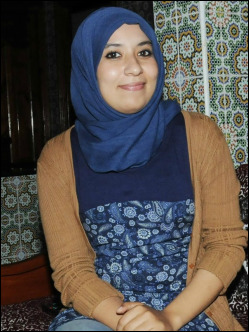 She is a citizen journalist in Ouarzazate-Enews, a member of Fail Khair-Ouarzazate, and Nuabook Ambassadors, a website that encourage communication between citizen and the parliament members from the Ouarzazate region. ​Abderrahmane Ait Lqous is from Tamesloht, a small town near Marrakesh. He holds a Bachelor’s degree in Sociology from Cadi Ayyad University. His first step in getting involved in the NGO sector was in 2011 when he founded “Youth without Borders for Development.” Since then, he has worked and collaborated with many national and international organizations as well as a Peace Corps volunteers in his town over the past five years. In 2013, he traveled to the USA to study Social Entrepreneurship with an exchange program at Connecticut University. He also represented Morocco in a peace building training with “World Peace Initiative” in Thailand, and participated in organizing the event in Marrakesh in 2014 and in Turkey in 2015. ​Abdellatif Adras is from Taroudant and is 28 years old. 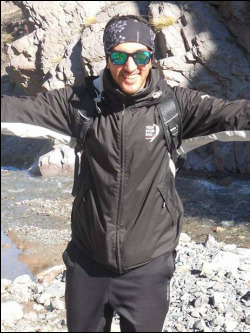 He graduated from the University of Ibn Zohr in Agadir with a bachelor's degree in Private Law in 2013 and also received a diploma in Coaching and Camping in 2014. Abdellatif works as a photographer with the group Green Fingers and is also a facilitator and a member of an association called Coeur Elkhair. Previously, he participated in several community activities such as handicraft workshops and more, and has lead and co-lead camps with OCP Foundation. Abdellatif loves adventure and traveling with friends. ​Afrah Zaazaa is from Taza. She got her bachelor’s degree in 2010 in SVT option and her DUT in 2013 in Logistics and Transport Management at School of Technology in Oujda. 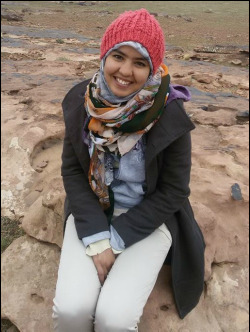 After receiving her degree, Afrah completed three internships: the first one was at Super Cerame in Kenitra for 2 months, the second one was at Shophachark in Oujda for 2 months and last one was at Imadore in Tanger for one month. Regarding her volunteer work, she has an experience of 4 months in 2015 as a volunteer in Moroccan Collective Volunteering in the region of Essaouira and Benguerir to support women’s participation in politics. Bouchra Benhari is from Taourirt, a small city in the east of Morocco. She got her baccalaureate in 2009 and studied IT and software at ESTO where she got her degree, after which she studied English studies for 2 years. In 2015, she participated in the U.S Census that was held in Morocco, and worked with the organization CMV for a three-month project to raise awareness among women about how they can participate in politics. Her experiences changed her vision, and encouraged her to be more civic active and involved in nonprofit sector. 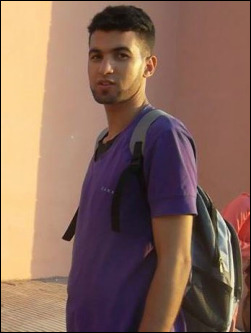 Abderrahmane Daanouni is from Jorf, a small town near Errachidia and graduated from the Faculty of Letters and Humanities of Meknes with a degree in Geography. He also obtained a certificate in Data Processing from the National School of Arts, ENSAM, and another certification in Music Poetry in Meknes. 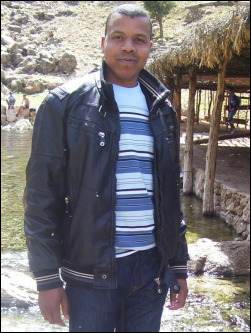 Abderrahmane has participated in several local and national trainings and worked at a printing and advertising company for two years. ​Hafssa Ait Tabamoute is from Ouarzazate, and she graduated from Hassan II University in Casablanca with a specialized Masters degree in Management of Organizational Communication. She is a member of the association Generations for International Work, which manages camps in the youth and environmental fields in Ouarzazate. She also participated in a workshop on citizen journalism organized by a Peace Corps volunteer at a youth center in Ouarzazate, which motivated her to cofound Ouarzazate E-News in 2011. Ouarzazate E-News is an online newspaper with citizen journalists. In the same year, she started reporting for Global Girls Media, an American organization that teaches young girls how to use social media and simple materials to report about their communities’ issues. She represented Morocco at the Social Entrepreneurship and Leadership Program at Connecticut University, USA and also at the Global Start-Up Youth Program in Kuala Lampur, Malaysia in 2013. 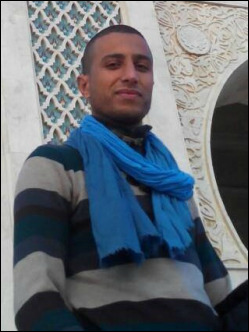 ​Abde-El-Hamid Hassani is from Ain Beni Mathar/ Oujda. He graduated with a BA degree in English Studies from the University of Mohammed I. He worked as a trainee teacher in a secondary private school. He holds a certification of training from CRM and a certificate of Microsoft Word from CERHSO (Centre d’Etudes et de Recherche Humaines et Sociales Oujda). 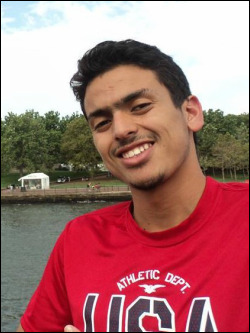 He is interested in nonprofit work, volunteerism, and aim to develop his skills by joining new experiences. ​Lahcen Chanchaf is from Oasis of Akka in Tata. 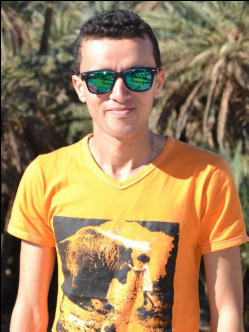 He currently lives in Rabat and is a recent graduate student with a Bachelor’s degree in Arts, English Studies-Linguistics option from Mohammed V University in Rabat. He has a great passion for traveling in Morocco and discovering new lifestyles. He was part with DIR IDIK volunteerism campaign organized by Inwi. ​Mustapha Briki is from Jorf, a small town in the Errachidia region. He majored in Geography at Moulay Ismail University School of Arts and Humanities in Meknes. He participated in many social activities in Errachidia region and received a certificate from the Foundation of Abdulaziz Saud AlBabtain's Prize for Poetic Creativity in Meknes of Meknes Tafilalt in 2011. He also participated in the blood pressure measurement campaign at the International Date Exhibition in Erfoud in 2015 organized by Peace Corps volunteers and the local women's association, as well as participating in other developmental projects in his town. Nabila Jebbouri is originally from Bouarfa, near Figugue. She holds a BA in Sustainable Development. 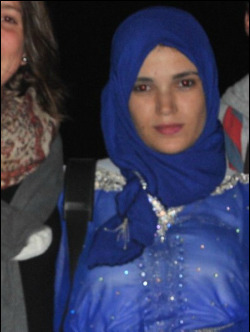 Currently, she is preparing her Master’s degree in Sustainable Tourism at the Faculty of Science in Tetouan. During her studies, she participated in numerous cultural events and training courses. She was also a member of the cinema club at her university. Hicham Elgatem is from Rabat. He received a degree from the University of Technology (DUT) in Development of Territory and Environment in 2013 and a degree in Ecotourism and Sustainable Development in the Faculty of Sciences in Tetouan. Currently he is preparing his master’s degree at the Faculty of Sciences of Rabat in Ecotourism. During his training, he participated in equity and environmental education. He also a FSR Enactus member, working in the field of social entrepreneurship on an Electra-Cycle recycling project of electrical and electronic waste. He is interested in ecotourism and human development and hopes to enhance his skills by getting involved in nonprofit projects. Souad Laghssais is originally from Tazarine, a small village in Zagora. She majored in Private Law at Ibn Zohr University. She worked with Peace Corps volunteers as a life skills facilitator, taught students in Youth center, and worked as a language and cross-cultural tutor. She also taught Darija to international volunteers in her region.